In this very last issue of Chongqing Stories, we will continue to explore the Danzishi Old Street. In the last issue, on our way to the Old Street, we saw a group of old people who gathered in Danzishi to relive the joy of their childhood. After departing from them, we continued our visit. 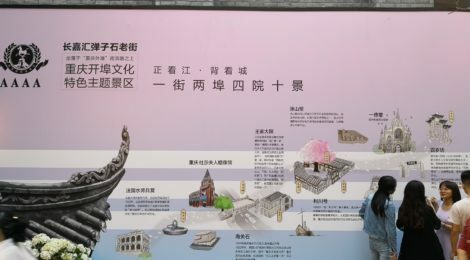 Not far from there, we saw a high pillar with five characters on it: “Danzishi Old Street.” The pillar was topped by a statue of a deer standing, and surrounded by a majestic memorial archway. Taking a closer look, this stone archway was engraved with three large gold characters: “Hundred Years Archway.” Passing through the archway, we saw nine pillars carved with the image of a “dragon’s son” standing in the middle of the road, and plenty of antique buildings on the two sides. When we were taking pictures, a little girl together with her grandma came to see the sculptures. The grandma, surnamed Li, told us that when she was a child, the Archway was in Qiantai Lane where the wealthy Wang family’s mansion was located. This Wang family made a big fortune with its business and the wife of the owner was conferred the title of “Imperial Mandate.” “I remember there were a lot of people living in the Wang Mansion and occasionally, their children would play with us. But gradually, they moved away and all the archways here were destroyed. I’m so happy to see this one being restored,” she added. Apparently, her granddaughter’s attention was caught by the Peppa Pig doll in the distance. That’s the beverage shop’s trick to attract young customers. Grandma Li told us that there used to be tea shops on the street, selling Laoyin tea at the price of 0.01 yuan per cup. Passersby love this kind of tea as it relieves both heat and thirst. Later, the price of tea rose and teas from other parts of China such as Pu’er and Longjing became popular. Gradually, no one drinks Laoyin tea any more. It’s a pity that we can’t find any shop selling Laoyin tea now on the street. All drinks shop here sells mostly sweet drinks such as milk tea and juice. 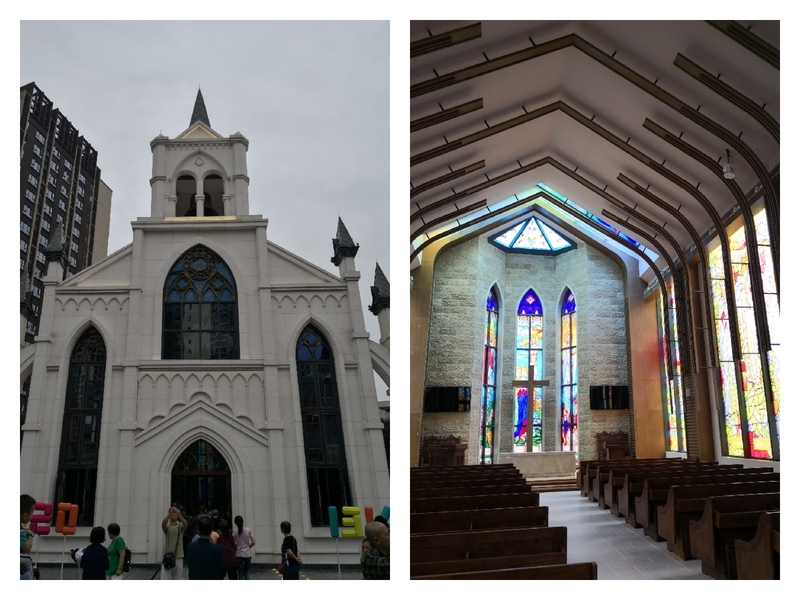 As we move forward, another important restoring building came into our sights: the “Yide Church.” After foreigners made Chongqing a treaty port, they started building consulates, barracks and places of worships, such as this church in Danzishi area. Nowadays, though not being Catholics or Christians, many Chinese people like holding weddings in church. By having two sculptures of balloons with carved “520” (meaning “I love you”) and “1314” (meaning “forever”) on, perhaps this church is a good choice for those who want to get married. Next to the church is the Pioneer Art Cinema, which is, as far as we know, the only art theatre in Chongqing. Unfortunately, it is not opened for business yet. From a certain distance, we saw a small square in front of a colourful wall. On the square stands a lot of people, with a few actors surrounded by the crowd. Those actors were sitting on chairs, each of them holding a blue transparent umbrella. A member of the staff told us that those were actors from the 303-drama club. She also said that there were three main reasons why they were acting here in Danzishi Old Street: first, Danzishi Old Street is the birthplace of treaty port culture in Chongqing; second, the terrain here represents the typical geographical characteristic of Chongqing and third, the style of the buildings here is perfect for modern drama, due to the need for actors to interact with audience during the performance. 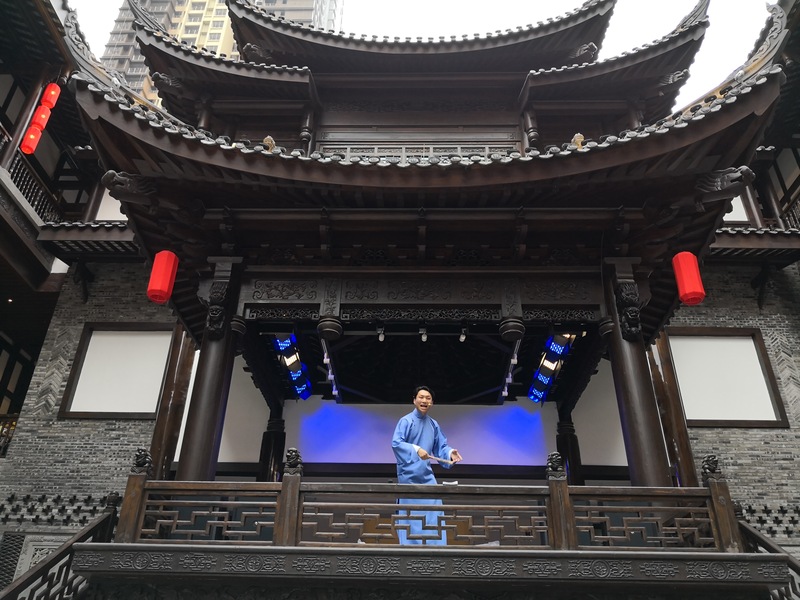 She also told us that there are altogether 228 plays going on here from June 1st to June 3rd and the most remarkable one is the “Nie Xiaoqian and Ning Caichen,” performed in Sichuan Opera style. In addition, a drama forum was held here in the Popular Bookmall. Experts, actors and audience discussed the importance and influence of drama in modern China. We then walked into the Popular Bookmall behind us. Once in the store, we realized that that was a courtyard house with books, cultural and creative goods, coffee more than a traditional bookstore. It’s also a place where people can relax and enjoy reading. We followed the flow of people and reached the mansion of the wealthy Wang Family. It’s quite majestic. 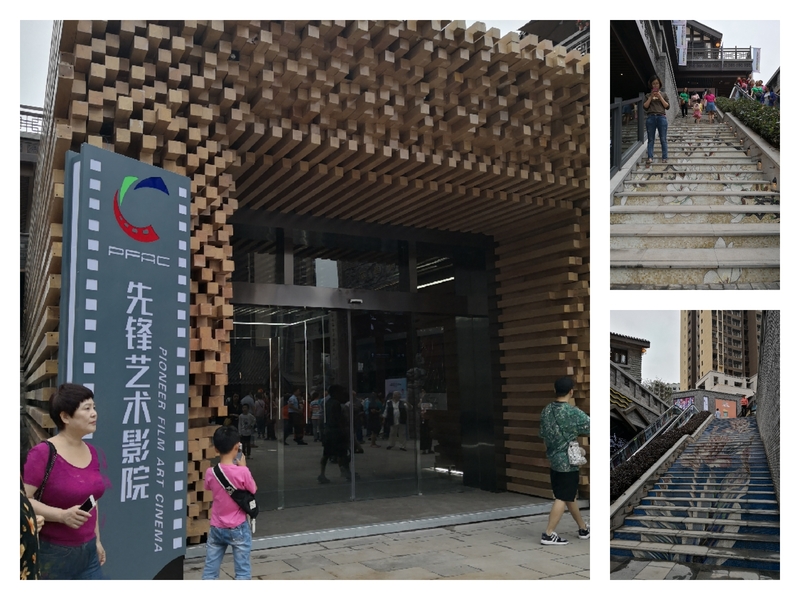 When we were there, actors were performing Chongqing talk shows on the stage and applause from audiences can be heard from time to time. 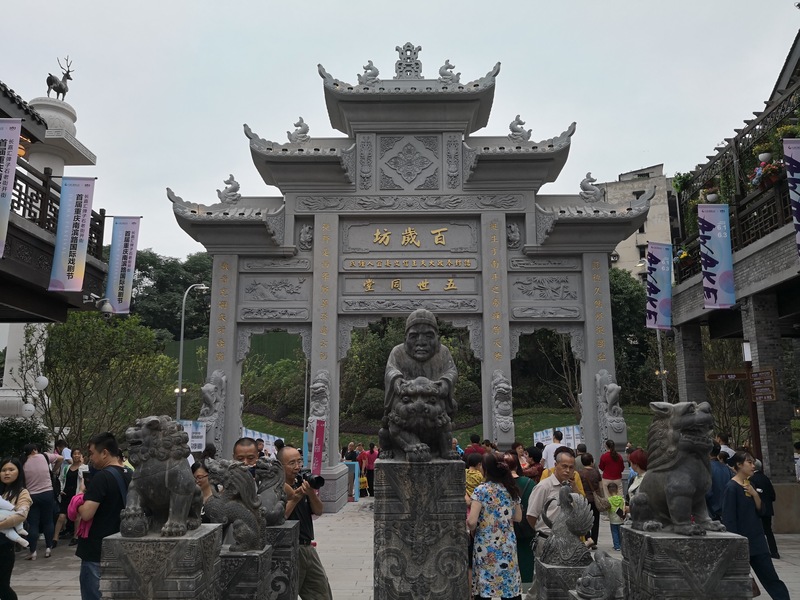 Not far from the Wang Family mansion, one can also visit other large houses of noble families, which enjoyed the flourishing market of Danzishi area. Each house has different view and all of them are worth a visit. As we continued wandering on the street, plenty of restaurants and snack bars caught our attention. The most popular one is a shop called “Shouqi Beef.” The waiter told us that if we queue up now, we probably have to wait for two hours. Even so, diners were constantly joining the queue. Several Chinese traditional snack bars nearby were also full of people. Besides Chinese restaurants, visitors can enjoy also a wide offer of foreign food. 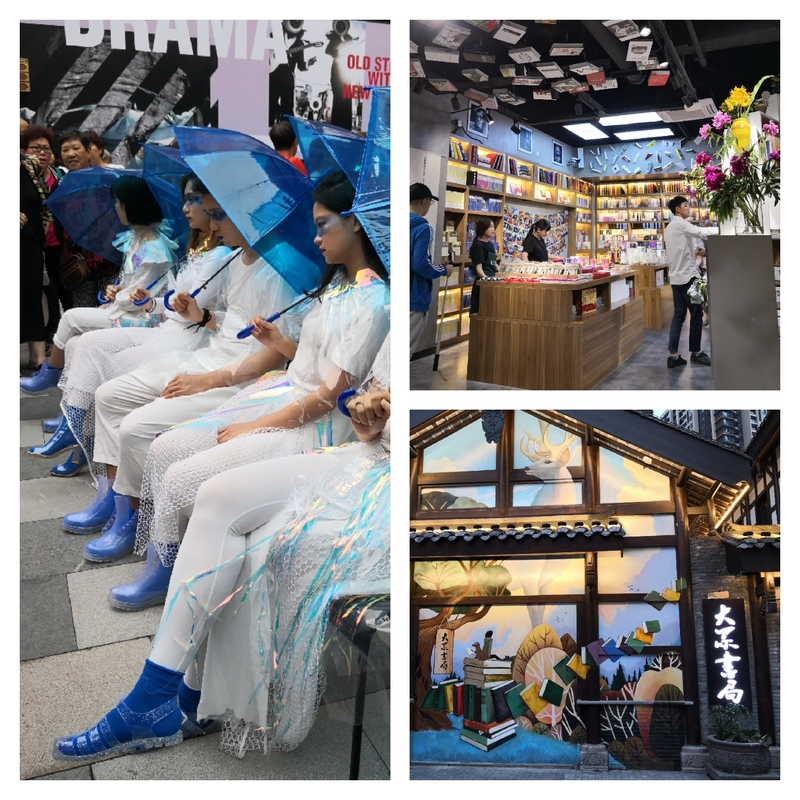 During our visit, we also saw the restored Tushan Kiln and Qingyun Bridge, the Japanese Theme Store “Kumamon,” the sculpture of the first British ship arriving in Chongqing, Madame Tussauds Museum and so on. We noticed that many old people came here with their younger generations as they have deep feelings for this place where they once lived. 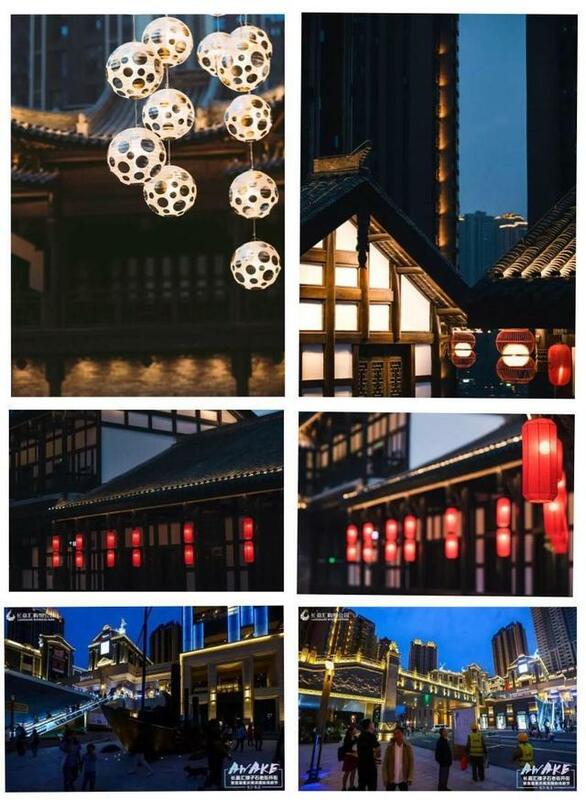 However, after the restoration, the Old Street, integrating both old and new, eastern and western style, provide these people who once lived here with old memories, and it has also the power to attract young people. In the next Chongqing Stories, we will explore and share with you more interesting and historical places in Chongqing. 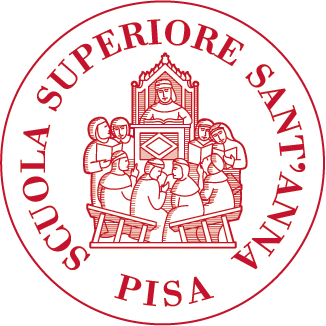 Wish all of you a happy summer vacation!